Watch our intellectual property attorneys spring into action if another party is infringing your intellectual property rights. We know that your intellectual property is one of your most valuable assets: our intellectual property attorneys are ready to stop competitors from violating your IP rights should the need arise. Whenever possible, our intellectual property attorneys resolve disputes outside of court to save you the substantial expense of intellectual property litigation. Often, our intellectual property attorneys can stop further infringement of your rights with a well-written cease-and-desist letter. In the cease-and-desist letter, our IP attorneys demand that the other party stop infringing your rights and remedy the damages it has caused. 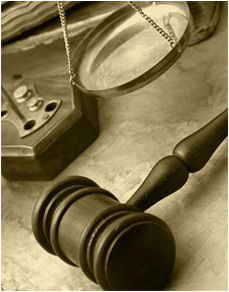 However, sometimes litigation in court is the best option and should be aggressively pursued. When litigation is necessary, our intellectual property attorneys pursue the highest monetary damages available and seek court orders requiring the other party to stop infringing your intellectual property rights. Should a negotiated settlement be required, our IP attorneys negotiate on your behalf to press for your interests in the settlement. "Let your ideas take flight" is a registered trademark of Mohr IP Law Solutions, P.C.